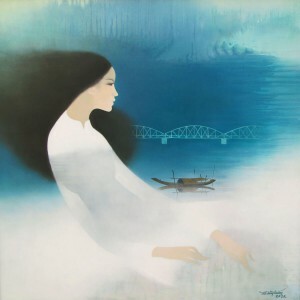 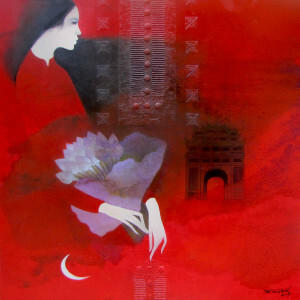 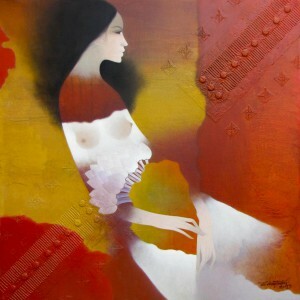 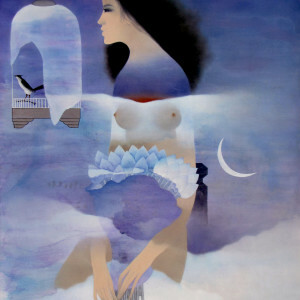 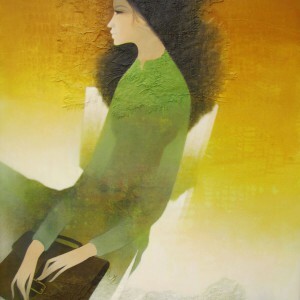 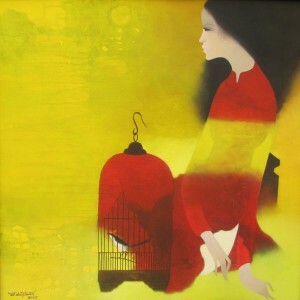 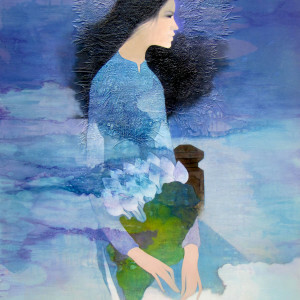 This original composition by contemporary Asian artist, Do Duy Tuan in mixed media has his signature figures of a young lady and a caged bird. 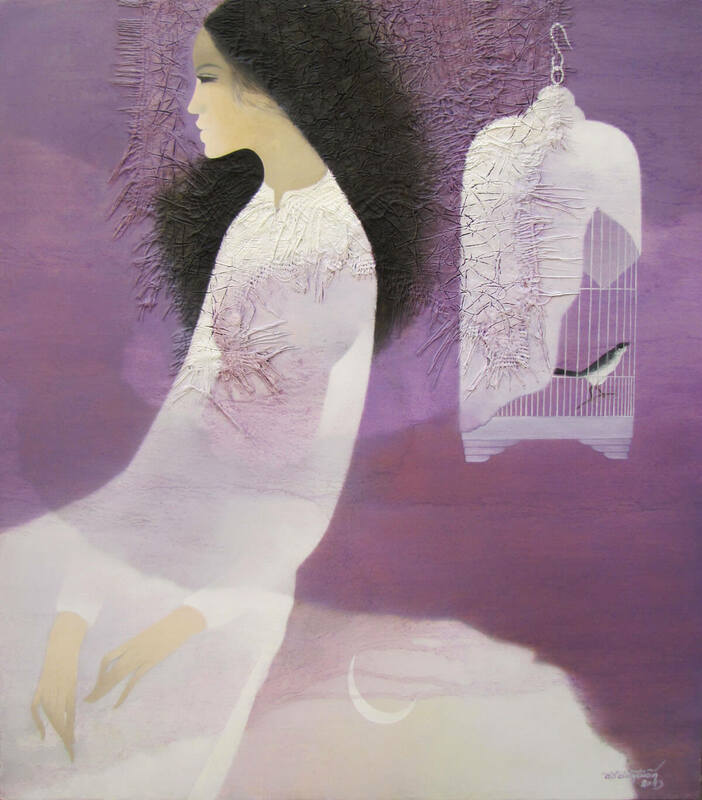 The color white and lavender signify purity and innocence. 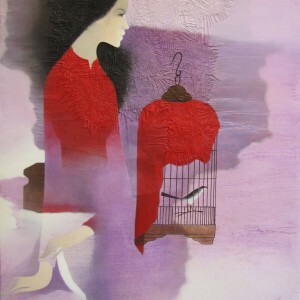 The composition portrays the young lady symbolically as a lady with a lot of potentials but caged like the bird, unable to bring her talents to fruition.